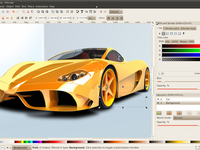 The Inkscape application is used by design professionals across a wide variety of industries (marketing/branding, engineering/CAD, web graphics, cartooning). Open-source vector graphics tool with object creation and manipulation, rendering, text support, fill and stroke functionality. Pros: One of the features I like the most about Inkscape, apart from the fact that it is an open source (free) software, is its ability to convert bitmap images to vectors, which can be done in a variety of ways depending on the desired result (brightness cutoff, edge detection, color quantization, etc.). The Bezier tool is also very intuitive to use, even more so than in other applications such as GIMP, which doesn't support paths and SVG as well as Inkscape. Using the Bezier, you can either draw an approximate path to be modified later or add precise curves along the way to minimize the work to be done after the path is created. Some tools, like Spray, Eraser and Gradient, provide some handy shortcuts to create absolutely interesting effects without much effort. For instance, Spray can take another object as a selection, the Eraser automatically redraws the modified paths without the erased part and the Gradient tool can take as an argument the average color in a selection. Most of the commonly used tools are present by default, but you can choose to move or remove many of them. Amongst those tools, there are many snapping behaviors available that can be turned on and off quickly along with many more windows that can pop up or be reduced on demand. It takes some time to get used to the way windows can be rearranged, but it provides greater flexibility down the road. Cons: Inkscape is filled with so many options that the default interface can look like a mess on small resolution screens: hopefully, it is possible to remove less used buttons by customizing the interface. Sometimes, when working with images that render a very high amount of details by applying filters, the software becomes slow and may unexpectedly crash. Unfortunately, it is a hard problem to avoid, the only available choice being to use as few filters as possible until the very end. Without using extensions, it is also hard to position guides according to your needs: you have to do manual calculations to make sure you can properly align guides between them. There are many ways to snap objects together, but it's still tricky to try to center a vertex from one object to the center point between two other points from only a portion of a second object: again, manual calculations need to be involved. On smaller screens of less than 17 inches, many long menus when selecting cover up to the bottom of the screen, making it impossible to read the description for each tool that appears in the bottom part of the main window that stays beneath the menu, leading to forceful experimentation in order to guess what each option does. Overall: Because Inkscape is able to work with many different image formats, it has enabled me to convert raster images to vectors at work, making it possible to print high quality promotional material. Its ability to open and modify PDF and AI (Adobe Illustrator) files is a real plus, as designers will often send their work in those formats. I have encountered a few frustrations while using it, but my overall experience is definitely positive and I would recommend this software any day of the week to any person getting into vector graphics design. Inkscape is a polished piece of software, working as expected on all major platforms (Windows, MacOS and Linux). For some rare corner cases, it even provides a built-in XML editor, allowing you to edit textually any detail of your creation, which can surprisingly be easier to understand by abstracting away the user interface in a readable format. It can be overwhelming to learn how to use all of its features, but there are great resources available on Internet and in the "Help" menu in Inkscape, including a lengthy manual and tutorials ranging from basic to advanced level. Pros: If you're looking to 'create' vector graphics, InkScape is very straightforward and simple to use. It has a well-arranged menu system and it allows you to do any 2D graphic that you'd otherwise create using expensive programs like Illustrator. It runs on most platforms - for me I need to use it on Windows and Ubuntu and it works without a flaw. It supports layers but you don't really need it since you can easily re-edit every single object even on the same layer. The fact that the files created are as SVGs allows the images to be directly opened on all modern web browsers. I truly admire the work of the developers here as this is a great open source program and you can just download it for free. 1. You can only export images as PNG files if you need bitmap exports. Not even JPEG is possible. 2. 3D graphics are not possible. 3. Saving as other formats or importing from AI files is not always great. It seems a little buggy. 4. There is no way to know if your colours are print or screen-friendly. This is something that you find important especially for printing logos and art work. Despite these drawbacks, I always choose it as I find it very comfortable working with it. Overall: Compared to the minor setbacks, I recommend InkScape for all vector drawings. Pros: It's free and open source. You can use it professionally and not pay a dime! Inkscape has a low barrier to entry compared to premium vector graphics software like Adobe Illustrator and Corel Draw. The tools are fairly straight forward for a novice to learn and there are lots of resources online if help is needed. Inkscape is light on system resources so you don't have to worry about Memory or CPU usage. Cons: There are no cloud-based services for Inkscape that I know of. This will disadvantage Inkscape users going into the future. Presently, there is no system in place for Inkscape users to collaborate online. There are also no workflow tools for Inkscape, like automatic cloud backup, or revision history. While Inkscape gets the job done, the variety of advanced tools it has pales in comparison to premium vector graphics applications. Inkscape usually lags behind in major innovations for vector graphics software. Premium graphics editors often release updates that leave Inkscape users behind for long periods. It periodically crashes for no apparent reason. The pagination and layering functions are a bit finicky to use, at least for me. Overall: Despite all the cons I love Inkscape and It fits my workflow and office setup. It gives way more value that I could ask for from a free application. 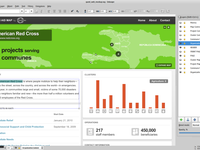 Open source communities are adapting to the rise of cloud-based sass versions of applications and Inkscape will eventually find its place on the cloud too. Unless Inkscape competitors release features that make Inkscape economically unviable I'll be sticking to Inkscape. Inkscape's not the sharpest tool but it gets the job done! Pros: Inkscape is a vector software that allows you to make clean logos, illustrations, infographics, etc. I only just downloaded this program about a week ago but I've already used it in my freelance illustration job. The other program I had been using was Gimp, another free software. But Gimp wasn't allowing me to create basic shapes. So I was able to save the file I was working on in Gimp as a .pdf file and then bring it over to Inkscape where I added boxes that were perfectly resizeable and did not anchor after you made them. I was able to go back and adjust the color of the boxes and also add and format text within them. It was beautiful. Inkscape is part of GNU which is the Free Software Movement put in place for just that-- freedom of software, bringing people from all walks of life into an equal platform. 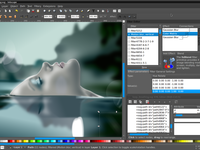 So that is why I chose to pair my previous Gimp software with this free Inkscape software as they are part of GNU Systems. Actually, Inkscape borrows some tools and coding from GIMP making it so easy and natural to jump between the two programs in one project. I'd go as far as to say that Inkscape is to Gimp what Adobe Illustrator is to Adobe Photoshop. Each is needed in it's own capacity, each tackle the same job at different angles. Cons: This is purely asthetic but one thing I was slightly put off by was the white layout. When I first logged into the program, it reminded me of Sticky Notes on my computer. It didn't have that Adobe-esque feel that Gimp had with basically the same dark design. It just didn't feel like it could hold up to creating numerous graphic layers and really tricky tool maneuvers. 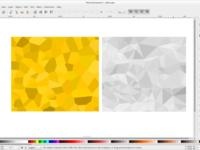 While obviously it is not Adobe Illustrator, Inkscape seems like it has a lot of essential features to pair up with Gimp, that when these two free programs are paired, the result is very similar to Adobe Suite products. It is a bit different in the tools area as AI. I wasn't able to figure out how to move objects onto different layers. It wasn't as intuitive as AI or Gimp, for that matter. Pros: - The amount of stuff you can do with this Open Source software is outstanding and the quality is superb, you can create all the graphics necessary for your websites, motion graphics, banners, games and animations. - Also is possible to export to a variety of file formats supported by adobe, save images with transparency and even create DXF files for CNC and G code machine cuts, even use your plotter straight out of the software with a plug in. Cons: - May have a bit of a steep learning curve since it is open source but there is ton of documentation and videos in youtube to overcome this challenge. - With heavy graphics the program can crash if you do not save your work on layers so you can turn off finished work and work on layers, but can be overcomed with constant saving. - It can be confusing when you select graphics because it's highlighted only with a dotted box. - Some tools don't work in a logical manner. - It does not support CMYK colors. Overall: I really like it over all you can do everything you need that all of the other paid softwares can do with exception to working with CMYK formats, this software is that good that when they get to integrate the CMYK color format as a printout file, a great majority of the people in the printing industry will switch to it. Is so well thought that is possible to designs faster than illustrator and corel draw, many of the tools make the job easier plus you can give a donation of 30 bucks or 100 bucks or 10 a year depending on you, but you get so much power for every cent or dollar you donate to the inkscape team. Research and Cultural Consultant, Editor/writer, interpreter. Pros: Interface is quite similar enough to CorelDraw and Illustrator that using Inkscape is quite intuitive. In the last few years, Inkscape has improved dramatically and it is now able to create complex, very large drawings. Inkscape is dedicated to open standards to avoid proprietary vendor lock-in. The software is free to download and use- this is essential for grad students working on a budget. Open source software helps ensure that people have access to excellent software tools irrespective of their capability to pay. 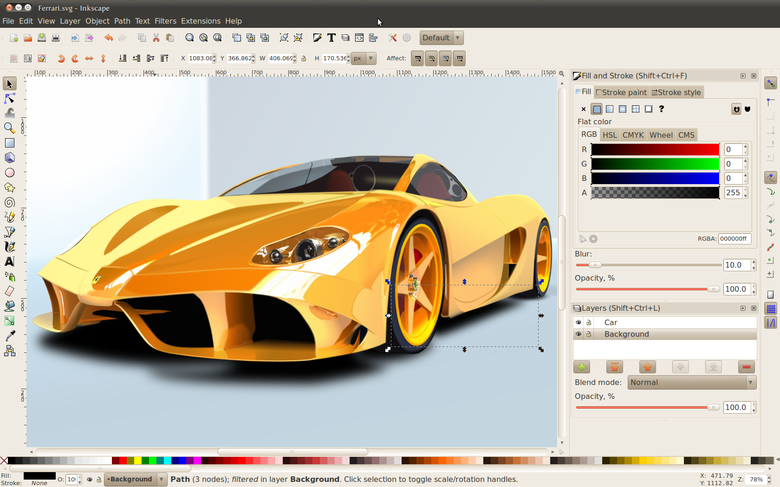 Inkscape is cross-platform software- a fact that allows the use of Inkscape on Windows, Mac, or Linux and ensures that Inkscape documents can be opened on all computers. This is useful in organizations where various people must work together on documents, but may be using different operating systems. Cons: Inskcape cannot flawlessly import CorelDraw documents. This is very much understandable and is mainly the fault of Corel for having proprietary formats that ensure users are locked-in to their product line. Inkscape currently lacks the ability to create multiple page documents. If it could, I would use it exclusively for layout and typesetting of brochures and posters. Pros: It is one of the standard softwares, and this makes it easy to find information and tutorials online, which facilitates understanding how it works. It also provides a few tutorials with the program itself, which is always good to have. It is also free, and open-source, so users can develop and change it if they need to. The webpage has quite a few suggestions regarding tutorials and key-bindings, which is great to have as a new user. The functionalities are quite extensive and useful, allowing users to produce shapes and lines that can be easily altered using nodes, without losing any of their quality. It has many predetermined shapes, but also has a few tools that allow users to draw the shapes they need. Pre-determined shapes can also be modified by the user to fit what they need. There are also countless options to work with regarding colors, gradients, position changes, grouping, selection, etc. There is even a selection tool that allows the user to select similar objects by their color or shape! It also allows to save the files in standard formats that can later be sent to others, or used in programs like Photoshop, which is a great option to have in case any further modification is needed that cannot be done in Inkscape itself. 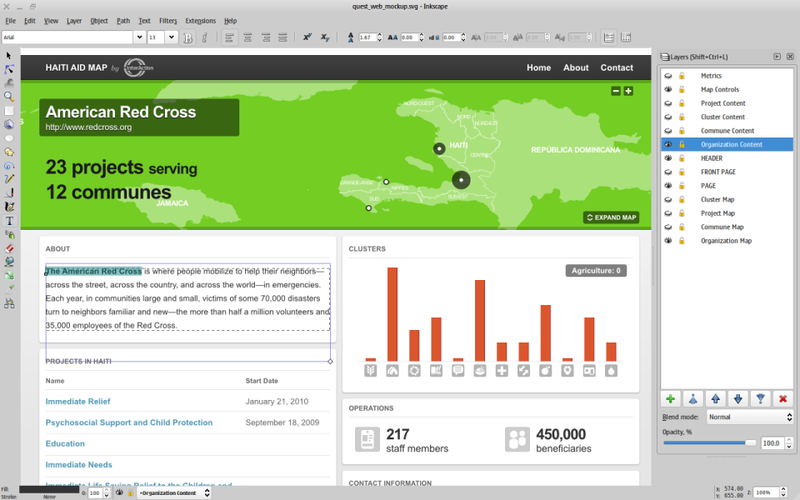 Overall, it has great tools that facilitate work quite nicely for users, both regular and new to the software. Cons: It is not very aesthetic-looking, and it can be a bit difficult to follow the tutorials, since many of its tools seem to have been moved around, and had their key-bindings changed, in later versions. This makes it hard for new users to find the tools or options they need for each piece, and can actually generate a lot of confusing when you start working with it. Overall: I have really liked using it to produce logos and other vectorized images, since it has quite a lot of options that facilitate work. I would really recommend it to anyone interested in practicing vector art, especially if you cannot afford the more expensive softwares, since this one has all you could need to start. Very useful tool to create figures and diagrams fast and effectively! Pros: I use this tool regularly at work to help me create visuals for my technical reports, whether it be a free body diagram or an image depicting the layout of my assemblies. Inkscape has many useful features, with my favorite being the "Layer" option which allows you to create layers to draw on that can be above or below the beginning layer. This feature allows you to add in certain figures in the background or foreground without having to restart the entire drawing. Another useful tool is the Grid View which displays the entire sheet in a grid like style. This is preferred to me as my drawings are usually needed to be relatively precise and having the grid style helps to ensure that. Cons: There is not much I can say negatively about this software. It is open source and there are many tutorials online to help you create figures, making it all around an excellent decision for a drawing tool. It lacks some of the more advanced features you would get in PhotoShop but there are little tricks you can do to get around. Pros: One of the main reason why we chose this in the past till today is open-source and free-to-use. Another advantage also is the ability to import, edit popular vector formats like eps and ai files. The workflow is quite similar to adobe illustrator and can be a good replacement for small scale vector art design. Cons: There's quite abit of learning curve for non-graphic designers who are already familiar with similar software like adobe illustrator or long-time ago macromedia freehand. Another rather annoying thing is the application takes some while to startup and render (many layers/ objects). Overall: Nothing to dislike since is open-source. The top free vectoring software! Pros: I like this software. I was looking for a free software to create the covers of my books and vectorize the images for use online. This software has never let me down in this regard. It is very rich in features that are also very easy to handle. It is available in several languages. It is the best software for novices on vectoring software and retouching photos or images. Cons: Not enough keyboard shortcuts with this software (which is frustrating to try to do things fast enough). In addition, the software uses a lot of resources, which can have adverse consequences for weak computers. Overall: I use this software for two years to design all the covers of my books, my Instagram and Facebook post and ads. Also I vectorize all the images for my blogs with ease and excellent results. I would recommend it to people without hesitation, but first you have to invest time in learning via videos that are easily found on the web! Pros: This application is easy to learn and to use. It employes the same mechanism of Corel Draw for modifying form and when I started to use it, this feature was very helpful. In addition you can install on every operating system. Cons: The ability to edit a bitmap inside the application (at least basic functions) would be very appreciated. Pros: This is a free tool that's both easy to use and well documented. Several tutorials in the web help you get a hold of it in mere hours because of its simple controls when compared to other tools like Adobe's Ilustrator or Photoshop. Also it's great that its free and light, so I can download, install and use it in almost any computer if I don't have mine. Cons: The same simplicity that makes it great sometimes limits what you can do. I have experienced problems when windows updates but it gets fixed after I reinstall the application. I haven't been able to figure out how to export in JPEG, which most of the time I don't use anyway but still. Overall: To me it's the perfect next step for someone who wants to create quality logos, icons or diagrams without a heavy graphic design background. 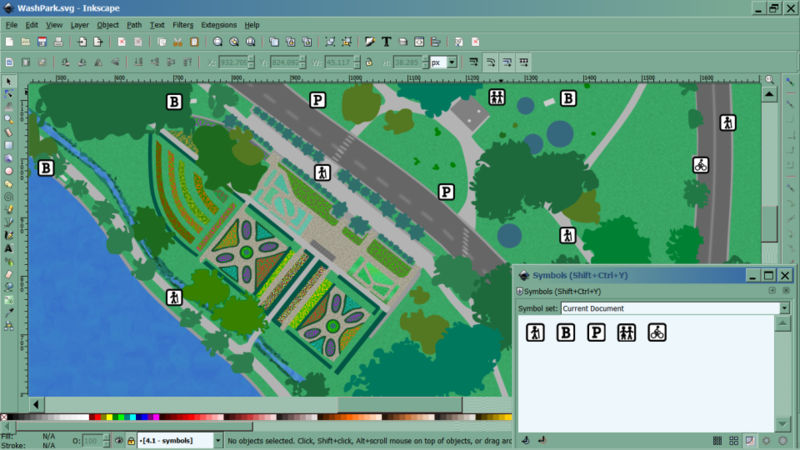 Before this tool, me and most of the people I have led to use this software were using paint to make their diagrams, cropping and pasting here and there without great yet simple tools like layers, snap grids and trace bitmap. Pros: What I like the most about Inkscape is it ability to open a wide variety of file types, especially those associated with vector graphics. Inkscape has such a depth of functionality that it becomes difficult to stop using it and not to explore its features further. Cons: What I like the least about Inkscape is that it is really difficult to learn. It took me a good few hours to figure out what feature was located where and how the different options work. I also don't like the fact that the software is so resource intensive; it is very laggy on a recently formatted, high specification laptop. Overall: Inkscape has been good to me in the times where I was not able to solve my vector graphic problems with other packages and has helped me out a few times, but generally, I dread the days where I know I am going to have to use it because I'll have to learn it from scratch again. Pros: I have to admit, open source software is always intriguing to me. When it works well that is all the better. One of the best features is the conversion tool for taking my black and white line art from a photo and turning it into a quality vector image. Another great feature is the active blur. With it, I can blur lines and shapes until I get exactly what I want. There is no intermediate step of choosing a number or checking a preview box before applying it. The software is being actively worked on, and improved. That is a huge plus when looking at open source software of any kind. Cons: It may be a bit of a bother for some to run it on a Mac. It runs great but it requires Quartz to be installed and then it runs in that. I have used it on Mac PC and Linux with no noticeable differnces. The interface may be clunky at times, but I'm more concerned with how the tool works than how it looks. Overall: I have used Inkscape for personal and professional illustrations. I have used it to convert line drawings to vector files for logo and clipart creation. A few hard to open PDFs have even been accessed by Inkscape when I needed to get to something inside. Pros: Inkscape is a great quality design freeware, great for making illustrations in vector format, easy to use very natural commands and intuitive interface it also has the ability to add software modules to make it able to do extra tasks such as output gcode for CNC machines, for example. To make designs for laser cutting you need to draw the vector or convert and image to vector which is easy and then be sure all objects are converted to paths and finally save as dxf, remember to save in another file. All this is very easy to do. Cons: Mayor complaint is the fact that conversion to dxf file format may have errors in may intricate font types and are needed to be corrected manually. Overall: Been using it to create designs for icons and laser cutting blueprints and images for months and is a great software but if you want to create very precise blueprints Inkscape may not be the best for you as it is mainly a drawing software. Though you should give it a try. The software is compatible with many file formats and you may find tutorials on the web and in the developers website there's a very good guide. Pros: First and foremost, I love that this product has always been free to users. I am a freelance digital artist who is self-taught and this program has been a life-saver. Once you get used to the program, it is so easy to use to create all types of vector art and graphics for your digital art needs. Once you have begun to understand how to use this program, it is definitely worth having around. Cons: The worst thing about this program is that there is a steep learning curve especially for beginning graphic artists. This program does not come with tutorials to help you to understand how to use the tools within it to create the designs you seek. However, there are a ton of really amazing free tutorials on how to best use this program online. Pros: Inkscape isn't easy to pick up and learn but neither are any of the other vector-based graphic design software programs. For free, Inkscape really can't be beat. If you need to learn how to do something, the community is all over and you can search online with multiple examples displayed by contributors. Cons: Very seldomly the software would crash when I started up. This seems to have been fixed. Overall: I always recommend beginners wanting to learn vector-based software to start with Inkscape because it can do it all and is completely free. 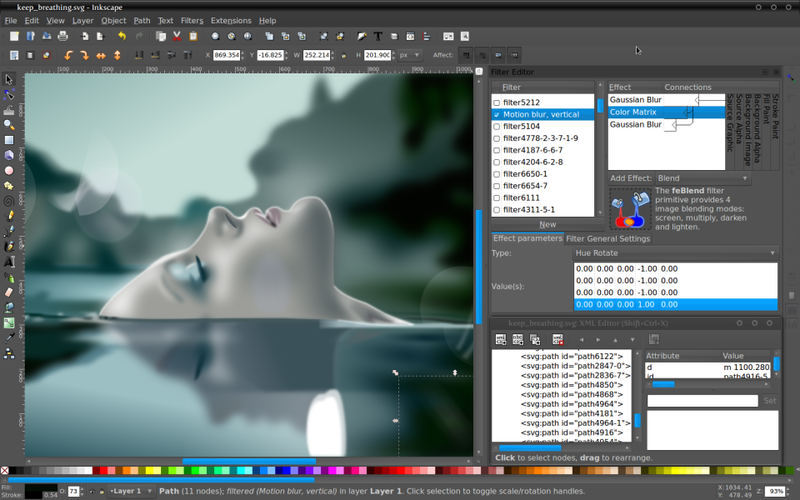 Pros: For free graphics software, this is one of the best. Easy to use, lots of function and add on features. I use the create path function to create dxf and svg files for laser engraving and cutting. Cons: Not a lot to not like about this software. A better way to control contrast would be nice. Pros: Inkscape is the one program for creating and working with vector graphics and since it is free software, it has literally no price tag except your time to make yourself familiar with its workflows and concepts. It opens and works with nearly every vector format out there and is capable of doing the most advanced manipulations and changes to vector graphics. Cons: Sometimes the program feels a bit laggy, but in the end it always did its job. Overall: I have created numerous vector graphics for every possible purpose, illustrations for books, artwork for the web, logos for companies and a lot more. I was even able to establish a CMYK workflow for print. Pros: It gives me the opportunity to create stunning vector art that goes beyond expectation. Cons: I wish each time I try to integrate word into a pattern it would give me error messages then opts out. Overall: Very good graphic design software that suits many different projects needs. Pros: The ease of use is great. However, it also has a lot of support for the areas that you need help with. It has been around long enough to have extensive tutorials and how tos to learn tons of fun new tricks and applications. Cons: One of the updates removed a feature that I really liked in an older version and I cannot find it. However, I think that may be a user error and not due to the software's ability. Overall: This is a powerful software with full functionality. A great, free substitute for Illustrator. It is updated regularly to keep it fresh. Would highly recommend this software, have been using for about 4 years now. Overall: I occasionally do design work, but it isn't a large enough part of my job to justify paying for Creative Cloud. Inkscape is a robust vector-design tool that allows me to create and modify designs in a cost-effective way. We've used Inkscape for logos, infographics, t-shirt design and even design elements for photo-based advertisements. There are occasional glitches and drawbacks (most notably in our case, a font that Inkscape struggles to load correctly) and there's no official support, which can cause significant delays in problem-solving while you scan YouTube and forums to find a video or post that explains a solution for your problem. Also, while Inkscape claims to be able to open EPS and AI files, I've never been able to open them. While there are other options that may be better supported, more intuitive, and can handle files more flexibly, Inkscape is an absolute gift of freeware, and is capable of handling almost all vector-based design use cases that come up for small businesses or cash-strapped nonprofits. It is more than capable of professional-quality design. Pros: This is a fully loaded piece of software, if you're looking to create some drawings in various different types of format (SVG is my favourite) this is for you. 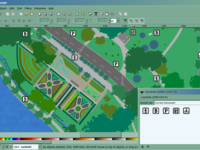 This is basically Illustrator for the poor man as it comes for the bargain price of nothing - you gotta love a great piece of freeware and this is one of them. Cons: If you have no experience in drawing software (where I started) it takes a little while to get the hang using Inkscape as it feature packed - but there are tons and tons of online tutorials to get you going. The best free vectoring software Ive ever used! Pros: I love this software. I was after a free piece of software to initial try my hand at vector designing logos and images for online use. This software has never let me down in that respect. There is so much functionality, and it is really easy to get to use. It can be quite daunting for those not familiar with this type of software, but its still pretty easy to pick up with a little investment of time to learn properly. Cons: I have been unable to use keyboard shortcuts with this software as it is installed via XQuartz (which is frustrating when trying to do things relatively quickly). Also, the software uses quite a lot of resources which can take its toll on lower end machines. Overall: I've been able to design vector-based images for blogs and online use with ease, and excellent results. Would definitely recommend this for people to try, but need to invest some time in learning first! Pros: I enjoy the UI/UX of Inkscape as I've steadily learned its features over the past several years to become a somewhat dangerous novice graphic designer. Its icon buttons for various functionality makes for an easy learning curve. If you take 5 minutes out of your day to learn one new feature each week, you'll toss your Adobe Illustrator and Photoshop license out the window in a couple months' time. Cons: In an Apple OS, you are required to download a secondary software connector to use this. Pros: I'm always learning new things and Inkscape is one of them. Cons: I cant say that there is anything I don't like about Inkscape. Pros: clean interface, easy and hassle-free, I like the compatibility with other editing programs, I am used to the use of vectors and its use in several platforms not only in Windows but also in Linux and IOS, without removing functionality in any way. Cons: I have no complaints about this program, I like it as it is. Overall: I use it as a reinforcement when it comes to making personal drawings, which is what I really use it in, it helps me to give final details as well as it is a nothing heavy program which allows me to use it in work computers. Pros: Fast and easy interface, lots of tools, surprisingly powerful and flexible. Cons: Occasionally clunky, still very occasional crashes and hangs (but good recovery from them). Overall: I've been using Inkscape for several years as a web developer and designer, and despite being free I'd rate it up with any commercial equivalent. It's easy to learn, and once learned allows very quick work sketching and designing vector images, with plenty of tools and functions. I use it to design physical objects because I can sketch up a layout in seconds, and dive into it for all types of design work. Pros: Easy to use, multi-functionality. Easy to convert bitmap images into vector trace. Lightweight to use, will not eat your RAM. Cons: None! This illustrator software is soo much fun and lightweight to use. Overall: I've been using InkScape for my sole illustration and (vector) design work in the last 8 years. It was slow and buggies at the early development, but it grows quickly as a mature and very useful design graphic software. Since the first day I use InkScape, I NEVER use CorelDRAW again. Pros: I like the simple way it has to make the strokes, how they are modified and the resolutions of the drawings, allows export / import of other programs. the use of the layers and the different brushes, the little that weighs and that is for all platforms, Windows, Linux and IOS. Cons: I have no complaints regarding this program and check with other friends who use it and are very satisfied. Overall: I use this program in my spare time to design or vectorize some handmade drawings. 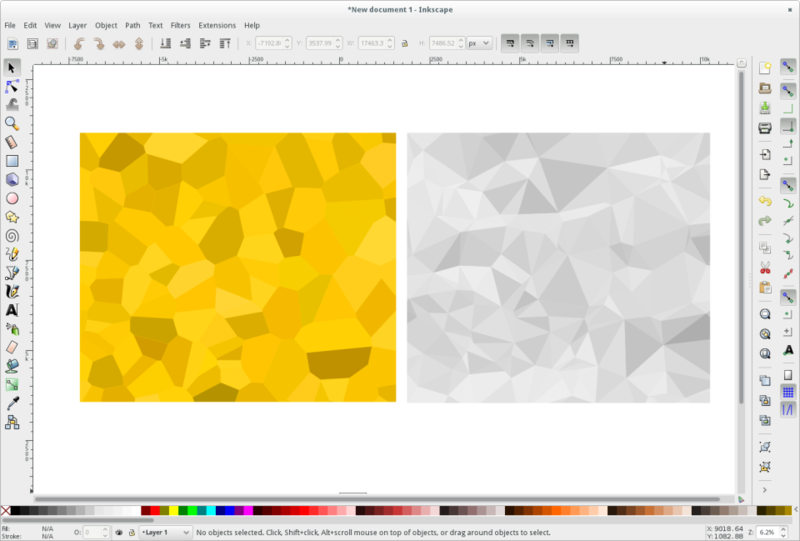 Inkscape is a Vector Graphics editor that is pretty useful! Cons: The only major con with Inkscape is it's limited functionality with raster images (pictures that use pixels) Inkscape was made for use with vector graphics, and it does that very well! If you need raster image editing, something like GIMP should be another choice. Overall: Inkscape lets us make the WalMart logo look perfectly smooth on all screen sizes, whether you're using a laptop or a smartphone, because the logo resizes itself to fit on all of the different screen sizes out there. Pros: I like the many features it has to offer. I used this software for my graduate research images, such as making panels of images that were all the same size. You can add text and shapes as well which is very nice. I like the high resolution images that I can create for my research. Cons: The software is very tricky to use for first time users. There aren't as many online resources to teach you features or help with issues as I would like. Overall: Once I learned how to use InkScape, I was able to create really great graphics for my research. However, it is difficult to figure it out for first time users and more resources online would be helpful. Pros: I use Inkscape for designing cut files for my Etsy shop. There is so much versatility in the program; design options are endless. Best of all, it's free! Cons: I wouldn't recommend this to new users, unless you're comfortable experimenting and learning on your own. Overall: Overall experience is great; I love the versatility of this program. Being powerful AND free, it has helped my (very) small business save money and offer unique products. Pros: Inkscape provided many of the most important features of Adobe Illustrator at an accessible price (FREE!) when I was a student and just beginning my design business. This is a very deep app that can do a ton if you take the time to learn it. Cons: Inkscape has a high learning curve, maybe even more so than Illustrator. The user interface also isn't quite as nice as some other similar software, mostly because of the cross platform nature of the app. Overall: Overall, Inkscape offered a great, and affordable entry into professional vector graphics software. Pros: There is a long list, It's open source! and free! The files are extremely light, it can be used other like AI or even browsers that can reading SVG files, sumarizing there is a huge sinergy with a lot of others softwares. Cons: There is a learning curve, but you can access the a lot of tutorials! there is a lot their in the internet. Pros: I loved the simple intuitive toolbar located at the side of the page and it is rather easy to create anything you want. The bitmap to svg and pdf import functions are great for me! Cons: The lack of a pen or a simple shape creator like a drag to adjust rectangle. Overall: I needed to find a software that can give me musical symbols in clear vector graphics which I can include in my word documents so each symbol takes me around a minute to complete and it allows me to convert entire pages of a pdf file into svg too! Pros: Free of cost:Best thing about this software is that it is Free and also it is better than other paid Applications. Variety of extension support: Provides a wide variety formats for importing and exporting of vectors. Cons: Sometimes feels a bit laggy and 'Path to GCode' feature in some cases fail to work. Overall: Have been using this software for more than a year for 2-D vector drawings and never got disappointed. Pros: The thing I like most about Inkscape is that it's fairly easy to use and it offers all of the features I need for free. Cons: The only issue I've had so far with Inkscape is that there are some file formats that it doesn't support. I was able to find ways around this issue by converting files to a usable format, but it would be nice if the files were supported within the software. Overall: I mainly use GIMP for any image editing that I do but when it comes to creating and editing vectors and logos I've found Inkscape to be easier to use than GIMP. There are some things that GIMP is capable of doing but it would take much more time to do in GIMP versus Inkscape. Pros: One of the best things about this software is it is free, so you won't have to worry about getting the premium version. Also, it is very easy to learn with the interface provided, so you'll get more editing done. Cons: If there's one thing I would suggest to improve, it is the wide variety of the tools to achieve more editing goals, otherwise, this is great for many editing projects already! Pros: It's Free! and it works incredibly well! This tool is almost identical to Illustrator for no cost at all and you just cannot beat that. Cons: It lacks some of the support of its adobe counterparts, but there are plenty of tutorials online (both provided by the Inkscape and by 3rd parties) to makeusing it a breeze. Pros: Free alternative to making vector based art. Cons: A little hiccup to run xquartz as a master to the app. Slightly more complicated to install than average. Overall: I have limited knowledge of illustrator and so I feel I need some tutorials to dive deeper. For the serious Illustrator user it should be a breeze. Great alternative to Illustrator at a lower cost! Pros: This is great software for designers with lower budget! Cons: It does lack a few features that Adobe Illustrator provides but at a much different price point so I have no complaints! Overall: I use Inkscape at work for my graphic design business. Pros: My favorite feature is the accessibility, having access to free software. Other programs, with very similar functionalities, have a huge price tag attached to it. Inkscape is great to learn the ropes of vector designing. If you are required to use another software at a job, like Illustrator, making the transition shouldn't bee to difficult. Cons: Can't export as .jpeg and doesn't support .eps format, but I'm pretty sure there are plugins for that. I'm also not a huge fan of how the interface looks, but that's minor. Overall: Inkscape is a free to use vector graphics software that rivals paid software like CorelDRAW and Adobe Illustrator. I have completely switched from CorelDRAW to Inkscape after I found this to be more stable, lighter on system resources and much more enjoyable to use overall. Pros: Free, it allows edit many types of images for presentation in activities where the aesthetics has an important role. Cons: In my case, i dont experienced any important problems. Pros: It's a great free vector editor which is as powerful and functional as it's commercial competitors. Cons: Development is slow, updates are rare. CMYK isn't supported properly. Pros: Ability to import popular vector-based files like AI and EPS. Inkscape is a free solution for anyone who doesn't want to spend on paid editing software - to do some simple editing and exporting to svg or png for web production. The learning curve and adaptability is also manageable as users will be familiar with the toolbar and options as Adobe products. Cons: Very slow vector files (svg,ai,eps) import and the loading speed rendering performance is a nightmare. While some may dispute is up to our machine specs, this is not true as we've tested inkscape on comparatively powerful systems. Overall: Nothing to complain unless Inkscape really wants feedback on how to improve their performance from free users. Contended. Pros: A free and open-source vector graphics editor, the quality of the drawing is amazing. Cons: The interface needs an upgrade, but for a free software, it's enough. Pros: It's really light compared with other vector graph design software. The software interface really friendly and easy to understand. Cons: The software developer didn't update the software version really frequen. I think this software also need some upgrade so it will still be powerfull vector graph design tool. Overall: I design my college organitation event logo with Inkspace, it's really easy to use because the GUI its so simple to understand. And Inkspace has alot of user around the world will provide the tutorial trough Google search.